Venezuela's money is nothing more than a greasy napkin to one of its citizens. A photo posted on Reddit Monday has gone viral. 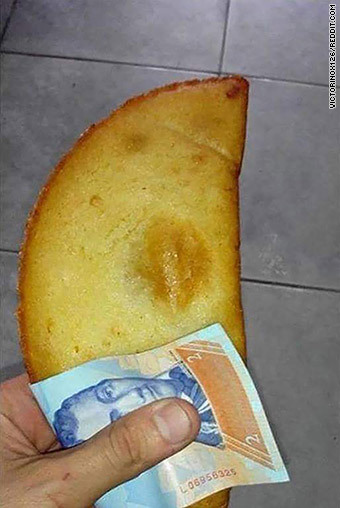 It showed a man holding his empanada with a $2 Venezuelan bolivar bill as a napkin. The post has already generated over 1,770 comments. The Reddit user, "Victorinox126" has a point. One bolivar is literally worth less than a penny on the popular, unofficial exchange rate market. Venezuela's economy is in shambles and basic goods like napkins are hard to come by. 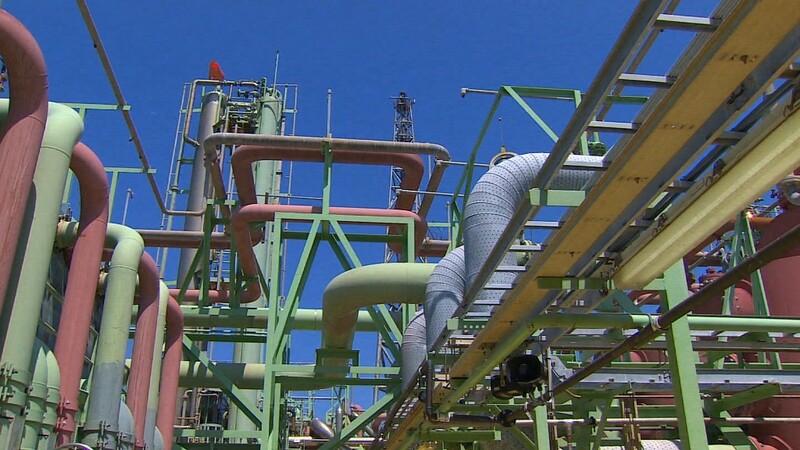 Earlier this year, officials from Trinidad and Tobago allegedly offered to send tissue paper to Venezuela in exchange for oil. Sugar, milk and flour are not easy to buy either. That's a problem when 70% of consumer goods are imported, according to the Brookings Institution. The Reddit photo that's gone viral. Most Venezuelans exchange dollars and bolivars on the unofficial exchange rate, which has skyrocketed over 700% over the past 12 months. 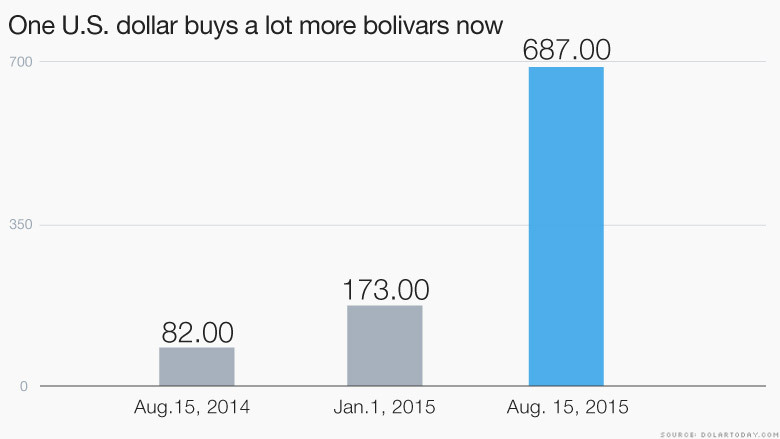 One U.S. dollar equaled 82 bolivars a year ago. Now a dollar is worth 676 bolivars, according to dolartoday.com, a website that tracks the unofficial rate. Venezuela's economy is suffering from extreme inflation sparked by political instability, a murky economy and the fall in oil prices. Last year, inflation rose 68% in Venezuela, and some non-government economists have said inflation could hit triple digits this year. That makes it harder for the government to pay for food imports, and harder for ordinary citizens to find things like napkins. Venezuela's president Nicolas Maduro isn't helping the cause. He's continued massive government welfare programs that his predecessor Hugo Chavez began. The country's lifeline of growth -- oil -- has lost a lot of value this year, forcing Maduro to go to other OPEC members and ask for cash. Maduro has also arrested political dissidents, created a currency system with three official exchange rates (not including the unofficial one) and blamed outsiders like the U.S. government for the country's economic woes. Maduro did make one reform that Venezuelans like: they can finally buy dollars -- sort of. Venezuelans can buy up to $300 a day, but only $200 can be in cash and the other $100 must go to a Venezuelan bank account. That exchange can be done under one of the official rates, called SIMADI, and is about 200 bolivars for one dollar, well below the unofficial rate. 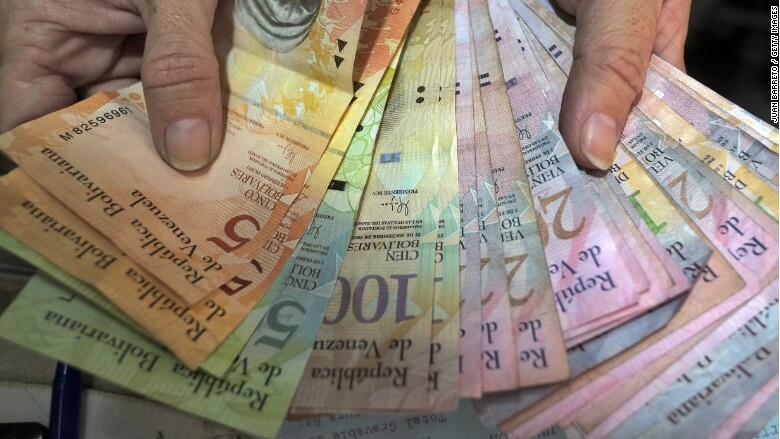 Venezuela must pay $5 billion in debt payment in October. As its oil profits have dwindled, experts say Venezuela could default on its debt later this year. It's not an unlikely outcome, especially when its own citizens see so little value in their currency. Bills of Venezuela's currency, the bolivar, which is losing value rapidly.